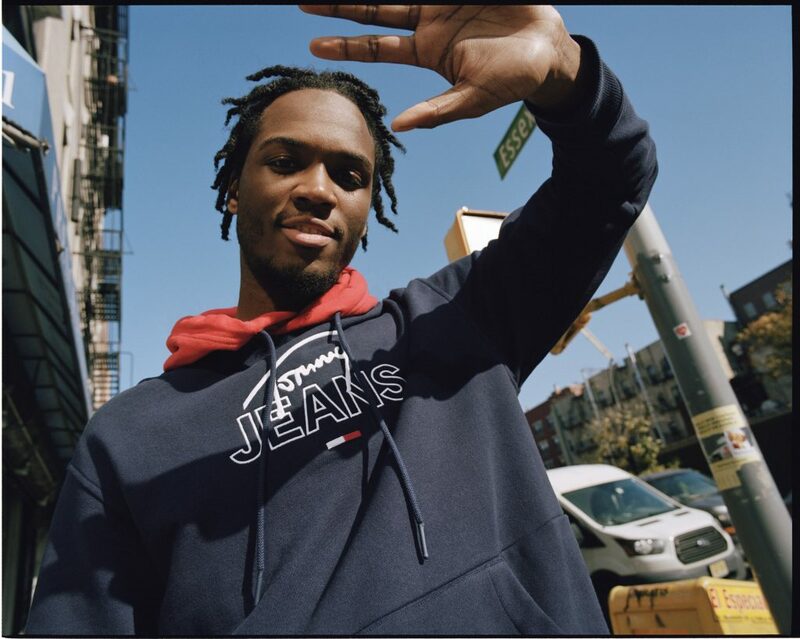 American designer Tommy Hilfiger has unveiled his spring 2019 Tommy Jeans campaign, featuring a community of up-and-coming creatives, including singer-songwriter Lolo Zouaï, singer-songwriter and artist Kilo Kish, rapper Saba, and models Sofia Mechetner and Hunter Chung. The campaign was shot by Clara Balzary on the streets of New York City and takes the digitally-savvy Tommy Jeans global denim community on an adventurous journey to celebrate music and style with an irreverent spirit. The mood is modern and fresh, with the eclectic group of five wearing street-inspired looks in the city where the Tommy Hilfiger brand was born and the musicians are building their futures. The mobile-first campaign includes exclusive interviews with the community of ambassadors who each share how they carved their own path into the music industry, driven by a relentless desire to make their dreams a reality. The spring 2019 Tommy Jeans collection for men and women celebrates the brand’s rich denim heritage, reviving classic American styles with an irreverent edge. Favorite silhouettes such as the modern tapered and mom jean are reimagined in recycled cotton with eco-washes that use less water, less chemicals, and less energy. Styles are modernized with the iconic Tommy Hilfiger flag logo in unexpected placements and celebrate the collection’s sustainable elements with the green Tommy Jeans patch. Oversized Oxford shirts and T-shirts feature stripes, as well as lavender and light blue pop colors that add a fresh youthful twist.